It was just an ordinary day at The HESC when we got the call about a baby rhino which had been found next to his dead and butchered mother. We did not hesitate to respond, as this is what we do. Every day. We help to rehabilitate orphaned and injured animals, always with a view to releasing them back to the wild where they belong. Despite this, each case is unique and it is seldom that a “one-size-fits-all” approach works. We could never have anticipated the overwhelming response from around the world to this tiny animal’s plight. In just over a month, our young Gertjie has become an internet sensation, and people from every corner of the globe have gotten in touch to pledge support, share loving wishes, and express outrage at the scourge of poaching that has infected this country like a cancer. Many of our friends have also expressed sincere concern over our wish to release Gertjie when he is old enough. As with many young animals orphaned so young, the role of the surrogate mother becomes integral to the animal’s survival and wellbeing. And as many will have witnessed, Gertjie has already formed strong ties with his human custodians. As many have quite rightly pointed out, this could jeopardise the success of his release. We would like to assure each and every one of Gertjie’s fans that the only interest we have is for his wellbeing. We are taking a day at a time, and are delighted that he has thrived under our care (thanks to the incredible support and assistance we have received). The most pressing issue for us at this point in time is that the youngster continues to grow and develop at a normal rate. This involves the round-the clock and hands-on care from our very dedicated team of staff. While we do need to think about the future, our efforts are more focused on the here and now. What many may not know is that we have another two rhinos in our custody which have also been severely affected by poaching. These two rhinos were mauled and their horns hacked off, and it has taken us almost a year to get them to the point where they are on the road to recovery. Both Lion’s Den and Dingle Dell are survivors too, and together with Gertjie, they represent something more valuable than gold – HOPE. Hope that we can make a difference, albeit just one rhino at a time. We do not profess to have all of the answers, and in many instances we learn as we go. We are currently in discussions with conservation experts which involve the future of these rhinos, and others which may find their way to us in the future. It is far too early to share these plans, but rest assured – we are all on the same page when it comes to the wellbeing of Gertjie, and others like him. We would like to take this opportunity to thank each and every single person who has taken the stories of our poached rhinos to heart. We have been inundated with donations, and pledges to assist in any way possible. We are so grateful. Every cent helps, and it can be said that many hands and hearts are responsible for Gertjie’s survival. It is at times like this that we are validated, and are amazed at the collective spirit of love and good that resides in the human race. 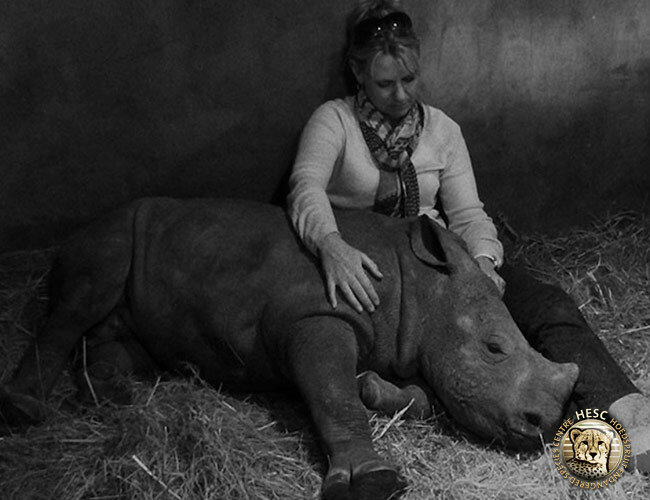 We will keep you posted on Gertjie’s progress, and on plans for the rhinos’ future.